Boil potatoes for 8 mins or until tender, then drain. On a pre-heated fry-pan add olive oil, then add salmon portions. Cook for 2-3 mins each side. Meanwhile, mix potatoes, mustard, mayonnaise, spring onion and parsley together in a bowl. 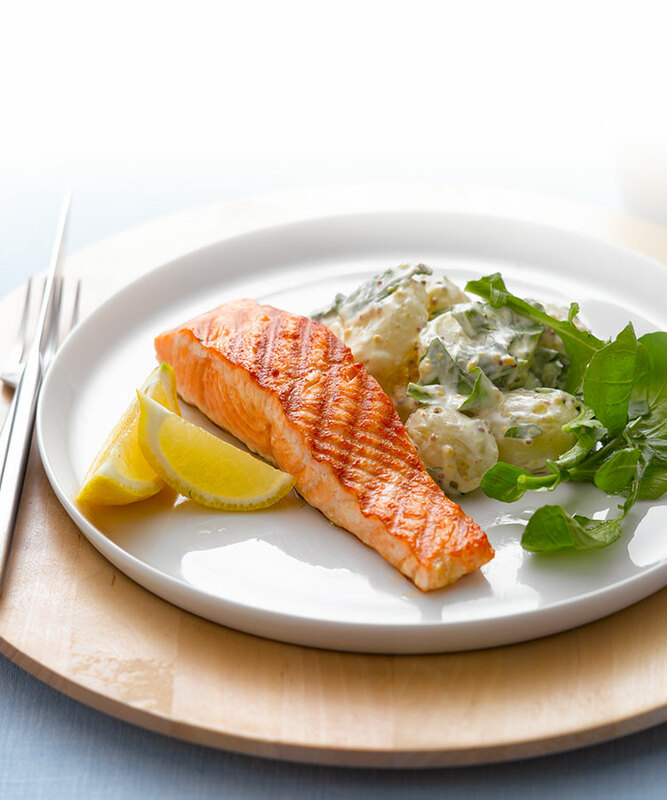 Serve salmon with potato salad and watercress and enjoy!